Abstract：What does retirement mean to the elderly? Just pensions and a bunch of sitting around? Fortunately, some old folks have more interesting aspirations. 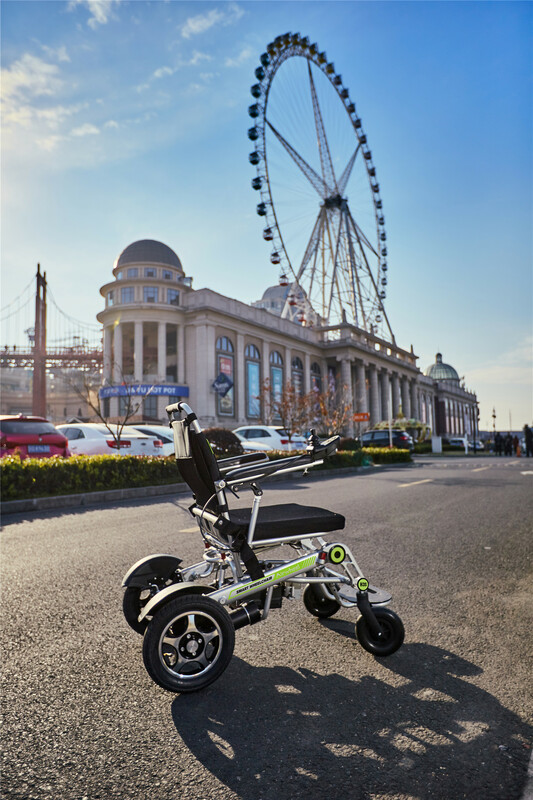 Airwheel H3S motorized wheelchair facilitates their daily travel. Preparing for retirement is like getting ready for a trip. The better the plan and the better the outcome. Right now, you may be used to taking two or three weeks of vacation every year. But when you retire, you suddenly have 52 weeks of unoccupied time on your hands. You may also move to a different community or state, start a new hobby, or realize all your friends are still working. 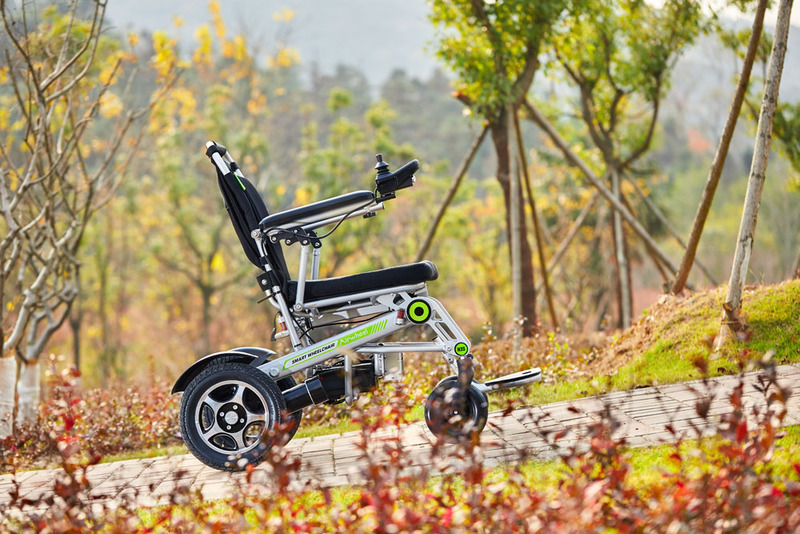 Let the Airwheel H3S power chair accompany with you to spend the transitional period. Airwheel H3S is to meet the travel needs of the old, featuring super easy operation, automatic folding system, app remote control, dual ride modes and more. H3S electric wheelchair installs smart joystick controller to control it to go and turn directions. They just sit on it and go. Also, the automatic folding system is the highlight and riders just press the fold or unfold button to make it fold and unfold. With the folded dimensions: 840x400x605mm (controller not included), Airwheel H3S can be stored into any corner. It weighs 29.5kg (without the battery), as it installs aluminium frame, with such features as wear-resistance and such frame is lighter and stronger, load up to 130kg. Airwheel pays attention to the riding safety and H3S installs intelligent reversing reminder, horn and headlight and more. 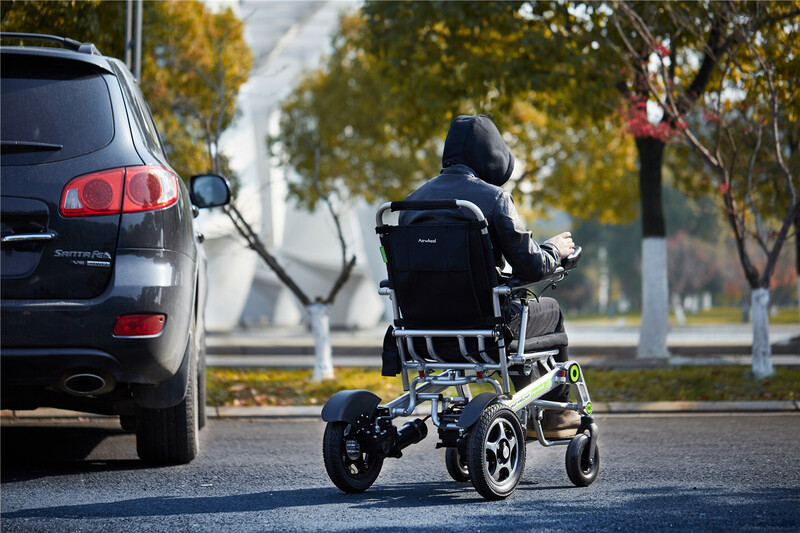 When reversing, H3S smart wheelchair will automatically beep to remind passers-by around to ensure safety. Real-time alarm is safer. Press the horn to give others reminder and you can enjoy a smooth experience even in crowd or heavy traffic jam. H3S always lights up the road whether it is on urban streets or rural lane, outdoors or indoors. Airwheel H3S healthcare product is equipped with the Omni-directional front wheel and the four wheels have the unique design of exposed tyres, which makes it have adaptability that is more extraordinary in outdoor environment. It can be turned 360 ° and the sensitivity is greatly increased. Riders can sit on it to work, travel, and go shopping. They can travel freely no matter in flat road or a curved path.